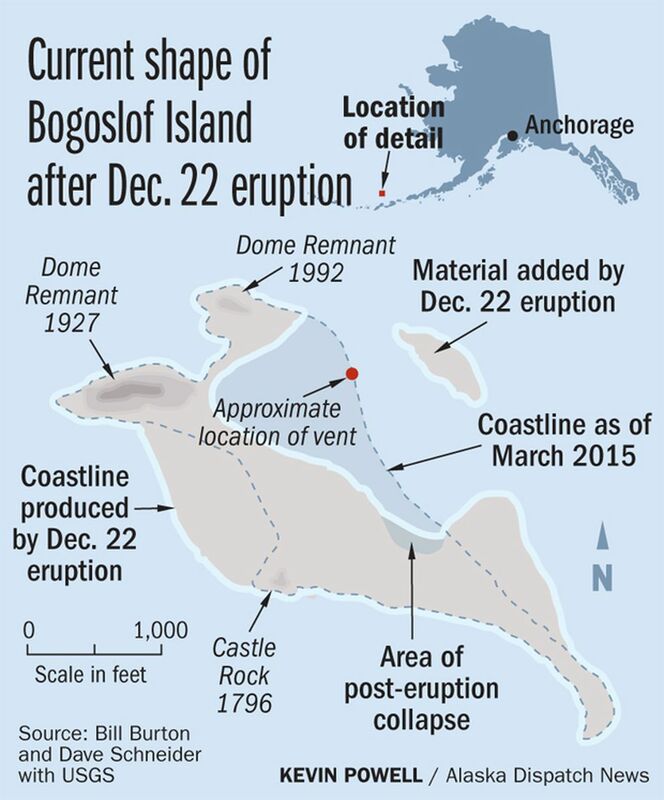 The Aleutian Islands' still-rumbling Bogoslof volcano is once again under higher alert levels after the latest of several eruptions there in the past week. 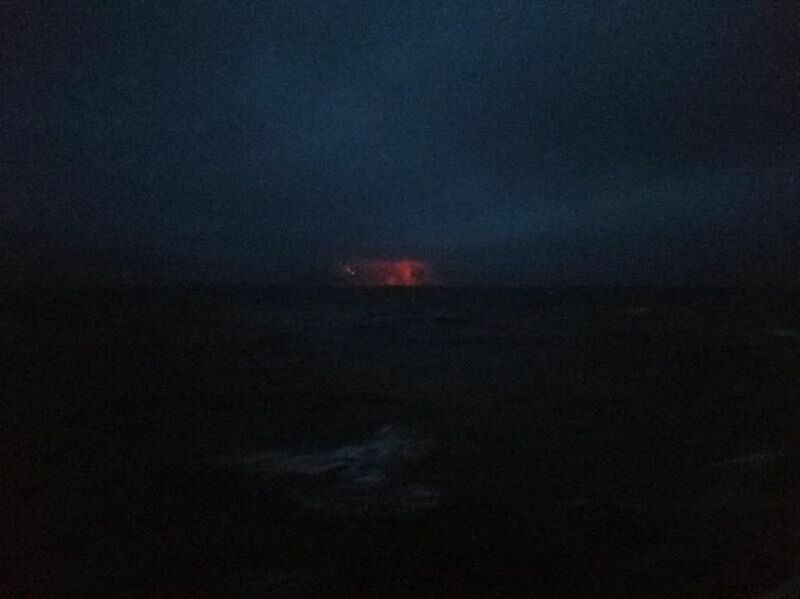 The Alaska Volcano Observatory lists the alert level for Bogoslof, about 60 miles west of Unalaska, as "warning" and its aviation color as red. The volcano shifted among higher alert levels during three additional eruptions last week. Seismic data and satellite images showed an "ash-producing eruption" and cloud at the volcano just after 2 p.m. Monday, following at least three last week that reshaped much of low-lying Bogoslof Island. The island is not only geologically dynamic, it's part of the Alaska Maritime National Wildlife Refuge and home to animals like seabirds and aquatic mammals, said U.S. Fish and Wildlife Service public affairs specialist Andrea Mederios. Puffins dig burrows to nest in Bogoslof's soft soils; murres and small gulls also find nesting spots on the island, Mederios said. Fur seal numbers have steadily grown as the beaches of Bogoslof have become an important rookery for pups, she said. "Cloud-top temperatures from satellite suggest a cloud height of around 30,000 feet (above sea level)," AVO staff wrote. "Regional winds are from the west-southwest." Prevailing winds last week carried ash from Bogoslof north over the Bering Sea. There were no reports of land-based ashfall during its previous eruptions. 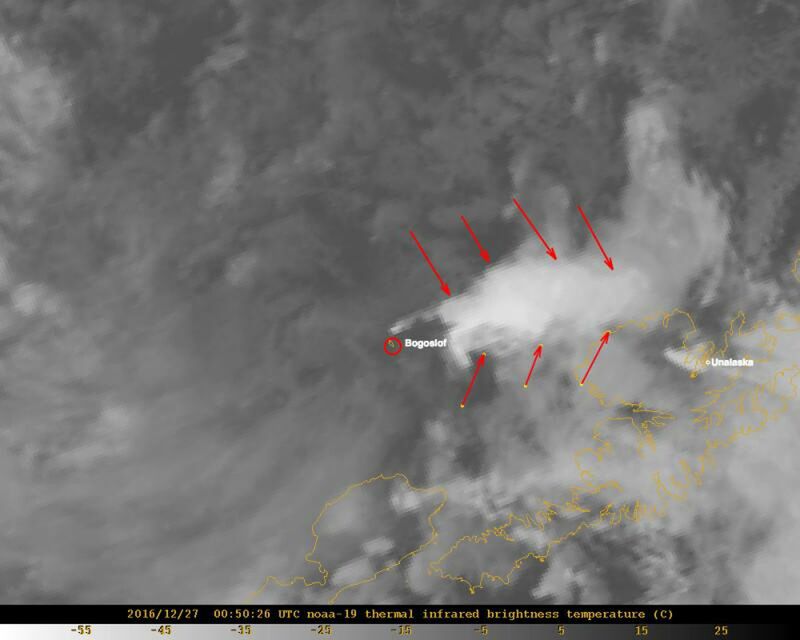 In an update posted Tuesday, the National Weather Service's Alaska Aviation Weather Unit said volcanic ash from Bogoslof was no longer visible on satellite images, and no aircraft alerts were issued for the region. Alaska Dispatch News reporter Jerzy Shedlock contributed to this report.